Ok, here is the deal. Typos happen to the best of us. No matter how many times you run spell check or do a hyper-vigilant proofread, the typos still slip through. But what about the cases when a single omitted comma costs millions of dollars? Keep reading to learn about the world’s four most unfortunate typos. You know what they say, if the price seems too good to be true, it probably is. In 2013, jewelry-loving Americans got the deal of a lifetime, thanks to a misprint in Macy’s Catalogue. The catalogue advertised a $1500 14k Gold and Sterling Silver Necklace to be sold for a mere $47. The actual price of the piece was $479, meaning that the “9” was omitted by accident. The pricey typo led to hundreds of $47 purchases of the $479 pieces. We don’t know the exact cost to Macy’s after this unfortunate typo incident, but we’re pretty sure that Macy’s will take editing seriously from now on. How about misspelling the name of a country on 1.5 million coins? The unfortunate spelling mistake showed up on 1.5 million Chilean 50-pesos back in 2008. The coins read “C-H-I-I-E” instead of “Chile,” and the typo was right next to a portrait of an important Chilean national hero. The error was pointed out by a random collector after the coins were released. Not only did it cost Chile a lot of money to fix this embarrassing blunder, but predictably enough it cost the managing director of Chilean Mint a job. Back in 2007, Honda dealer in New Mexico sent out 50,000 scratch-off tickets to their potential customers for a chance to win a cash prize of $1,000. There was only one minor problem with the lottery: instead of having one $1,000 winner, promotion agency printed 50 000 winning tickets by mistake! They even sent out about 30,000 of them before anyone noticed the unfortunate $30 million mistake. Since the dealership didn’t have an extra $30 million dollars to spend on promotion, they offered $5 Walmart gift cards to all of the “winners”. Smooth move, Honda, apparently, $5 Walmart gift card is just as good as a cash prize of $1,000. 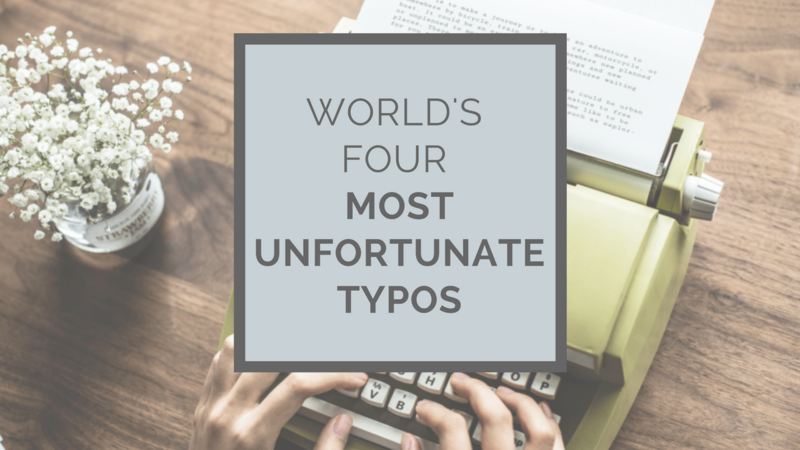 This mistake definitely made it to the top of the world’s four most unfortunate typos list for a good reason, after all, it is the most expensive typo in the history of the world! On July 22, 1962, at 9:20 PM, NASA’s rocket Mariner I exploded in less than five minutes into the flight. Official references reported that the root cause for this disaster was a single omitted hyphen in the mathematical code. The typo cost the U.S. Government not only the reputation but also $80 million ($657 million in 2018 dollars). Wow, that’s a lot of money to pay for a tiny mistake deep in hand-transcribed mathematical code! As amusing as these world’s four most unfortunate typos are, they are also excellent reminders to proofread your documents. What’s the worst typo or grammatical error you’ve ever seen or made? Comment down below!